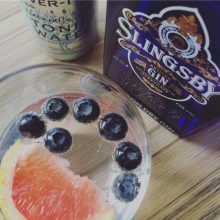 The Expose Agency, which launched in September last year, has added Yorkshire drinks brands Slingsby Gin and Copper Dragon Brewery to its roster. The wins follow on from Olicana Mosaics and Save the Children becoming clients. Expose will initially work with Slingsby at board level, to provide insight driven brand strategies. Copper Dragon Brewery wants the agency to engage new young beer drinkers while retaining existing customers. Olicana Mosaics, owned by Yorkshire artist David James, has tasked the agency with implementing and maintaining their social media and PR campaign while also promoting James’ attendance at this year’s Chelsea Flower Show. And Save the Children wants specialist broadcast services to help its DRTV advertising programme reach key audiences across multiple channels. Harrogate agency Expose was launched in September 2016 by Ian Watson, Chris Barker and Jason Kelly.